wisteria and vines, honey bees, angophoras. In these deceptively simple yet finely wrought lines, we recognise the path taken by the poet who, in Goethe’s formulation, ‘sees the universal in the particular’. We also make out the point at which the path forks out into three romantic traditions through specific images, and we hear echoes of Wordsworth, Shelley, Keats, Novalis, Lamartine, Nerval, Baudelaire, Coleridge and Rilke. There may be more. Or less. (I may be seeing and hearing things). This is to suggest how Fischer’s verse conjures up a singularly-layered poetic world that produces a richness of tones and references. 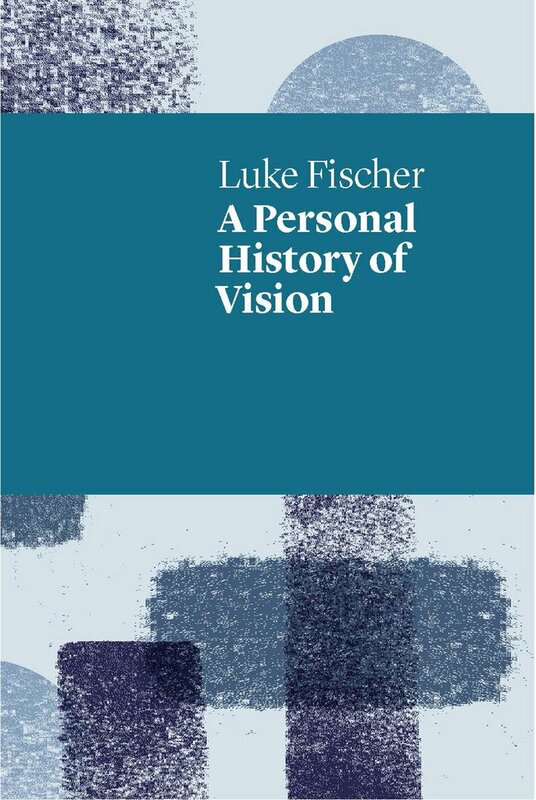 Fischer’s poetic world is formal, philosophical, historical and, to a lesser extent, ecocritical in engagement and the concurrent romantic vision of the redemptive possibilities of art. His domain is ‘Nature’s Temple’ as immortalised in Baudelaire’s credo, ‘Correspondences’. In it, there is wonder, but also the anguish of melancholy, solitude, grief, suffering, dispossession and death. However, against these his poetry essentially offers life-affirming opportunities for delight—delight in the image-making magic of its own plays upon perception and language and, through these, in the multitudinous variety of nature, culture and art. Often cemented in an aesthetic image, or work of art, many of the poems collected in A Personal History of Vision express concern and empathy for the dead, grieving, lost and afflicted, for isolates driven inwards by their own perceptions. Answers are often gestured towards with empathy, and glimpses of the sublime, but they are more often than not cut short, leaving it to the reader to cope with the affect delivered by the last image. In ‘Waiting for the Train’, the sublime takes on surreal qualities on closing as the protagonist is compared to a fly caught in a spider’s web irrevocably breaking free. Because of the collection’s lingering melancholy, I first wondered if ‘Deadwood’ might be emblematic of Fischer’s method. Behind the poem which evokes Rimbaud through reference to his limp and poetic vision, is ‘a verse that once set me on fire’. Here, the poet sees himself as a fire thief whose ‘text / looks like a poem’ yet ‘is a torch’ and the poets ‘way/into the heart’s subterrane, / a wavering illumination / of its resistant textures’. Here is Prometheus, classical fire-stealer, the characteristic figure held up by the Romantics (especially Rimbaud and Shelley) as symbol of heroic rebellion, the imagination and poetry. The lessons taken from Rilke are integrated in the poem: acknowledgment of time and experience, facing up to dejection as instructive and potentially ennobling, respect for selfhood in all its particularities, paring the language, finding inspiration in the here and now, and allowing sublime intimations to emerge from the profane. of axioms, the formula of themselves. you a feeling of permanence. tense as the disputes at the First Council of Nicaea. In a gesture reminiscent of Shelley, Fischer answers the old suggestion that poetry is associated with primitive, indeed ‘primeval’ perception and declines with the advance of civilisation. The poem echoes ‘Defence of Poetry’, where Shelley claims an interrelationship of language, perception and poetry such that poets as contributors to civilisation in all manners aesthetic and philosophical are ‘the unacknowledged legislators of the world’ (1821). Lingering here is the romantic emphasis on the imagination, truth, beauty and pleasure allied with Shelley’s provocative definition of the relationship between imagination and morality in the form of the good. The poetic faculty creates ‘new materials for knowledge’ and engenders the asynchronous desire for their rearrangement and presentation. Through the emphasis on the paradoxically ‘voiceless occlusive’ in the French ‘blanc’ Fisher deftly suggests that, as Shelley puts it, poetry ‘is at once the centre and circumference of knowledge’ here epitomised by the Mont Blanc, the highest peak in the Alps. He also, and not without irony, suggests that poets are authors to others ‘of the highest wisdom, pleasure, virtue and glory’. The irony pertains to the fact that ‘k’ at the heart of ‘Luke’ is indeed far from voiceless. Besides, after Kafka, the letter ‘k’ is loaded with connotations antithetical to the good. In this poem, the letter ‘k’ goes beyond anchoring metaphoric play: it highlights the classical idea of eternal forms, including the form of the good endorsed by philosophy. It does so only to question and subvert this idea. This is achieved through interplay of semantic binaries. Diverse in their range and reference, arresting in their statement and wordplay, the poems gathered in this collection are, as ‘Horizon of Alps (K)’ demonstrates, very carefully constructed. Fischer uses the short line and variable stanzaic form with dexterity. The result is a poetry that is conceived with sharp attention to detail, joy in the possibilities of language, and self-consciousness about the seriousness and exhilaration of perception and apperception. This is equally true of the longer questing poems, of the extended ‘Elegy for the Earth’ with its personification of earth as a sleeping woman, and of the shorter inquisitive lyrics such as ‘Glance’, ‘Scene in music’, ‘Anonymous’ and ‘Labyrinth’. Water cascading through a gorge, a pattern of cross-currents forming beneath, around and above stones, causing sudden changes to the water’s flow. The lap and splash of images, nuances, cadences, subliminal rhythms. The attentiveness to form, language and speech: the shapes of words, letters, lines, stanzas. Their resonances, uncanny silences. The larynx’s response to what is heard, recalled and felt, reforming patterns of speech and sense. In winter the snow erases images and emptiness beckons. Calls from the depth of its stillness. Calls for understanding. With Fischer, the romantic legacy is still with us, whatever modifications are made by changes in cultural perceptions, social institutions, aesthetic preferences and work patterns. In deference to art and in acknowledgement of the metaphoric possibilities of language, imagination allows here for a dialectical interplay of opposite categories that yield a third register. This register bears Novalis’ aphorism : The separation of poet and thinker is only apparent and to the disadvantage of both…’ Here lies the irresistible brilliance of A Personal History of Vision. NOTE: “The separation of poet and thinker is only apparent and to the disadvantage of both…” –Novalis (Friedrich von Hardenberg) is the key, as it were, that opens Luke Fischer’s website. DOMINIQUE HECQ is a poet, fiction writer, scholar and literary translator. She grew up in the French-speaking part of Belgium and now lives in Melbourne. Her works include a novel, three collections of short stories, five books of poetry and two plays. Hush: A Fugue (2017) is her latest book of lined and prose poetry.